My “helpers” ranged from 2yrs to 9yrs old. 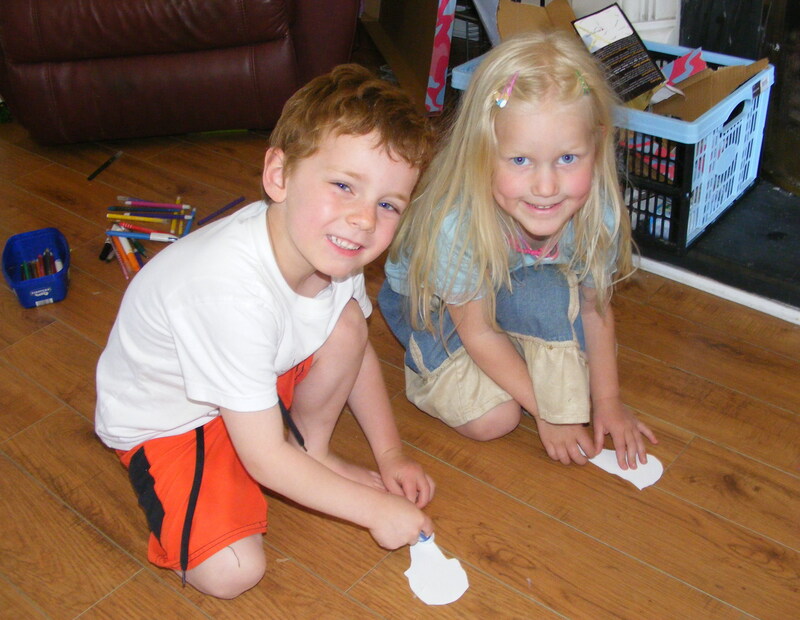 The older children loved making their own decorations for the class using the coloured paper that was included. The “littlies” used the stickers. In this castle “less is more” certainly doesn’t apply. Every inch of the castle was decorated. 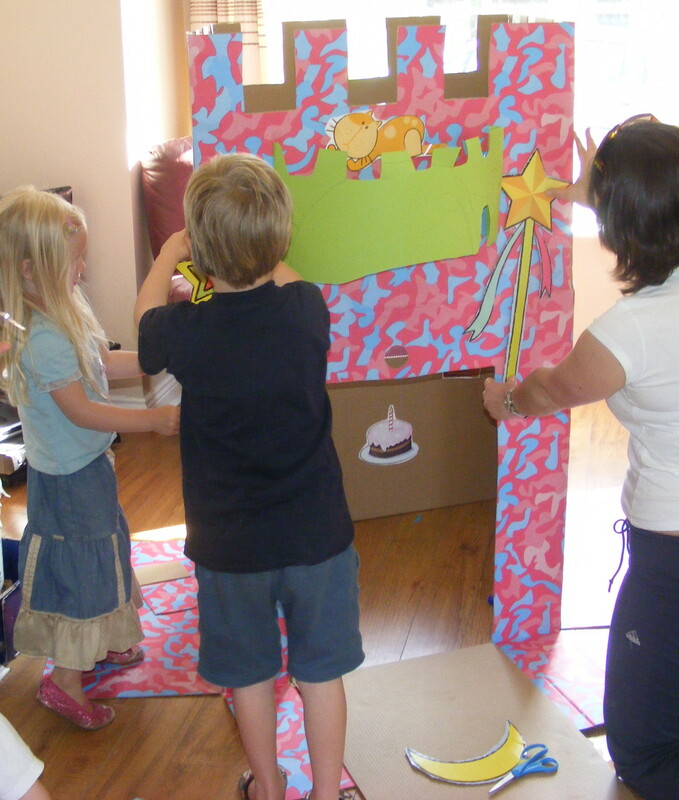 I did the cutting out of the windows, door and battlements and the children did the rest. The kit was a HUGE success with all the children giving it 10/10. Each child like it for a different reason. 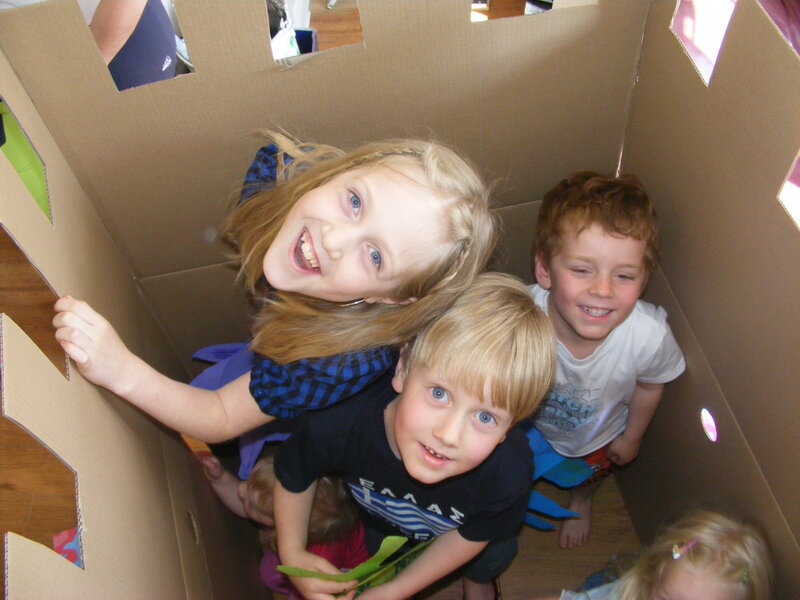 The older children thought that it would be lovely to have as a quiet, personal space to read a book in. The little kids tore in and out, opening and closing the draw bridge and having imaginary sword fights. I can’t believe how sturdy the box is. With all that tearing around I thought that the box would just collapse. Instead it showed no signs of wear and tear. Both mums, Trudy and Liberty, were impressed by the kit. They thought that it would be a great birthday present. 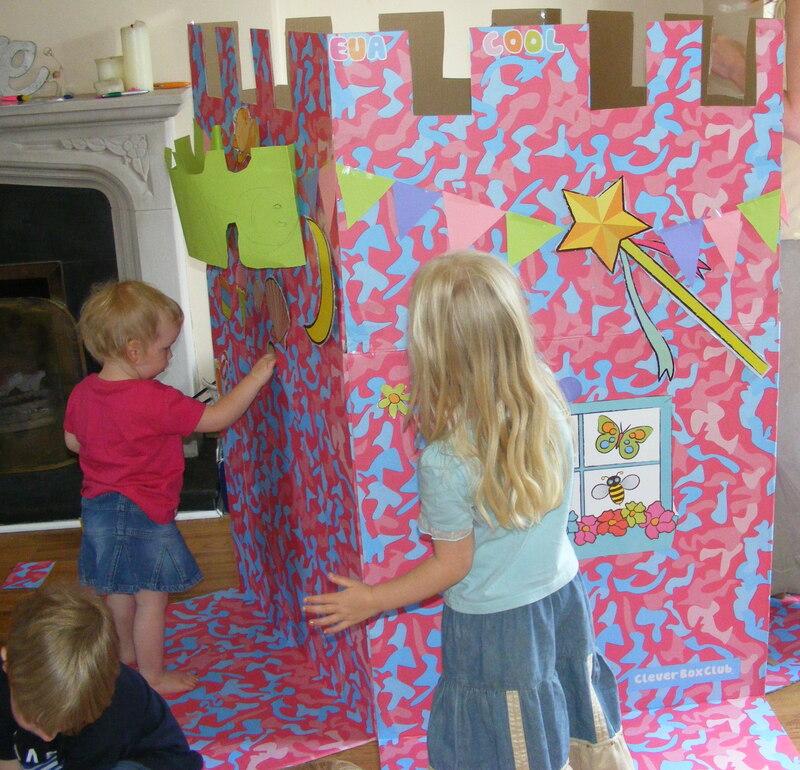 They also though that if you had the doors and windows cut out you could use it to entertain children at a birthday party. We spent ages and ages decorating ours. 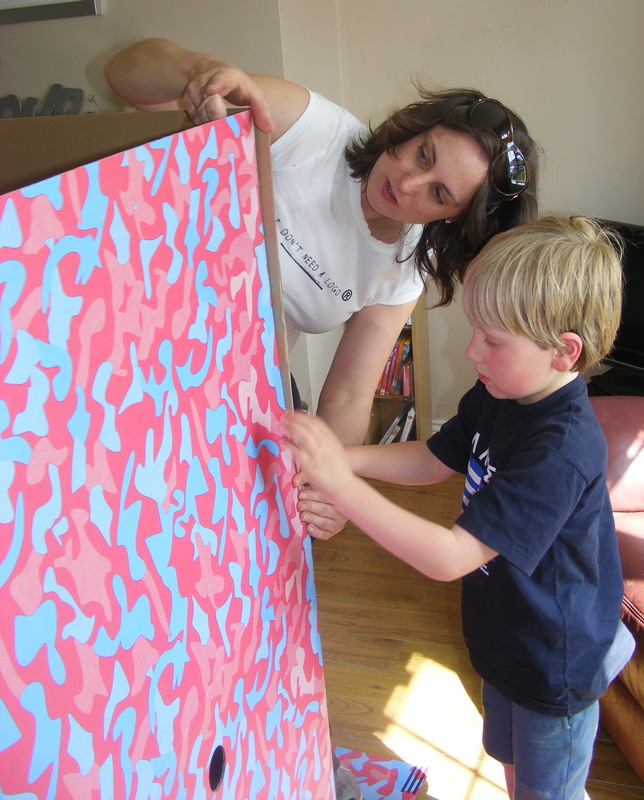 Great idea as I am sure lots more children will be partying at home these days. 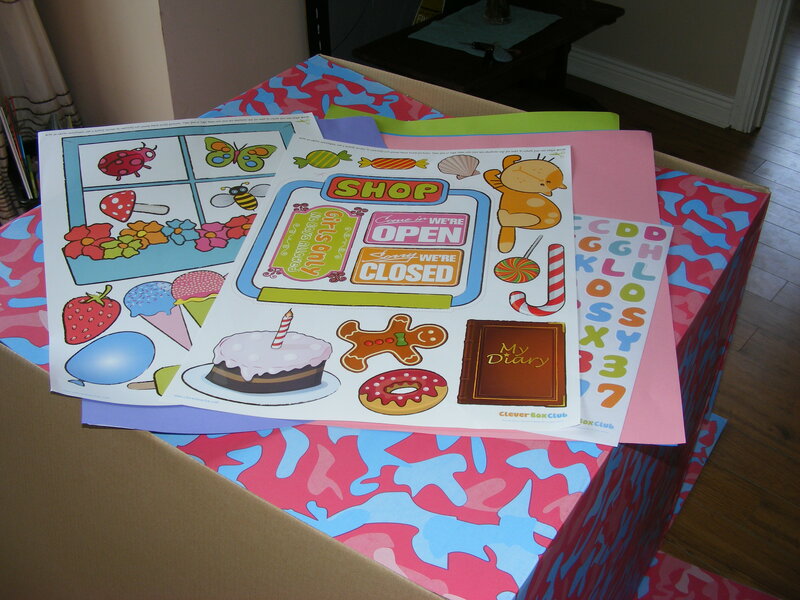 The kit cost 27.50 and certainly gave lots and lots of fun and quality time together to make it great value for money. Thanks to me eager teams of helpers: Joshua, Charlotte, Eva, Nate, Rebecca and Fia. What do you think? 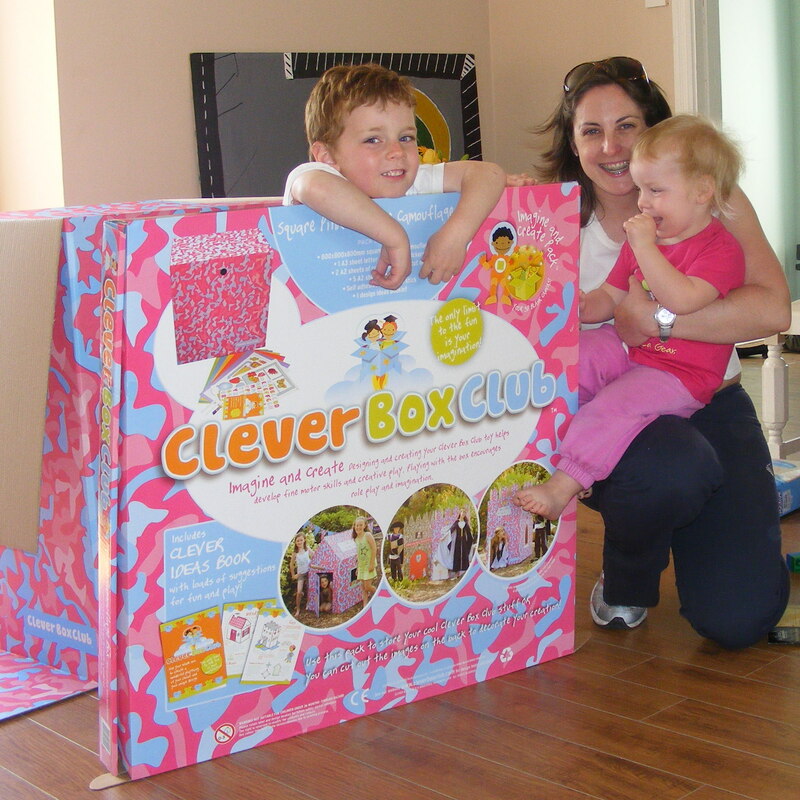 Check out http://www.cleverboxclub.com/ for more information or to pick it up as a gift. I will definitely be buying them as gifts.